On 15th August 1947, India woke up to life and freedom from almost 350 years of British Rule. The partition of India in 1947 was not just dividing a country into two on the basis of religion, it was something that would change the fate of both the nations. Cities and towns were plundered, women were raped and it was a period of extreme chaos and turmoil. The partition led to the creation of the Dominion of Pakistan (which was later split into Pakistan and Bangladesh). The Indian Partition is recorded to be the largest mass migration in human history. The partition of India has been variously captured and depicted in paintings, photographs, films and novels. 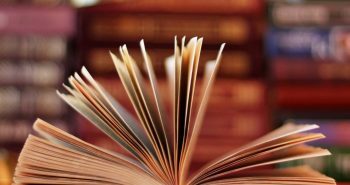 The following list mentions 10 books on Indian Partition that you must read. 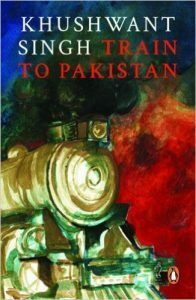 When one thinks of partition literature, Train to Pakistan by Khushwant Singh is the first book that comes to mind. Published in 1956, the novel talks about how a small fictional village Mano Majra on the border of India and Pakistan gets affected due to the Partition. The novel is about how Sikhs and Muslims coexist in Mano Majra peacefully until people from outside enter the village and spread the news of Partition. They convince the Sikhs against Muslims and Muslims against the Sikhs. Written by Bapsi Sidhwa, published in 1991, this novel is also known as ‘Cracking India’. 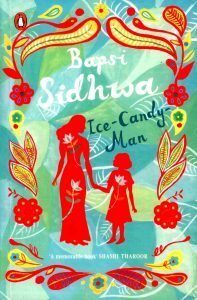 This novel deals with the aftermath of the Partition through the eyes of a young girl growing up in a Parsi family. Sidhwa describes the fate of people in Lahore post partition. Full of poignant scenes, the novel contains scenes of murder and violence too and ends on a tragic note. The novel talks about how political changes in the country affect the common people. It also brings forth the suppression and exploitation of women. The story is narrated by a female protagonist who shares her own personal experiences of the partition. 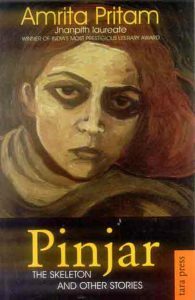 Pinjar is a 1950 Punjabi novel written by Amrita Pritam. It presents an account of the Partition from a woman’s point of view. The protagonist of the novel, Puro, a Hindu woman gets abducted by a Muslim man, Rashid. Her parents refuse to accept her when she manages to flee from Rashid’s captivity. Puro in a sense symbolizes what women had to endure during the partition. Puro though depicted as a mentally strong woman, is shown to be helpless at the hands of fate. 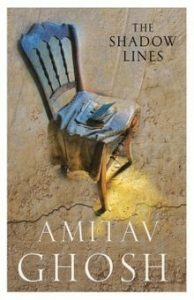 The Shadow Lines is a 1988 novel by Indian writer Amitav Ghosh. The very title of the novel, ‘the shadow lines’ refers to the lines that divide people and also bring them together. The narrative of the novel is such that it keeps going back and forth in time and is a construct of the memories of the characters in the novel. Ghosh does not out rightly talk of Partition or freedom or nationalism but throws subtle hints through the psychology of his characters. This novel is a subtle comment on the unnatural nature of physical, cultural and psychological borders. 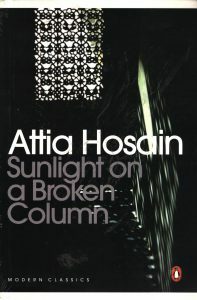 Sunlight on a Broken Column is a novel by Attia Hossain, published in 1961. The novel is set in Lucknow and is an autobiographical account of a sixteen year old girl named Laila. It deals with a young woman’s personal crisis pitted against the backdrop of communal hatred and partition. As the country begins to revolt and undergoes change, Laila too begins to fight for a better lifestyle and wants her personal life to get better. A girl with a strong, rebellious spirit, Laila’s fight for her personal independence is in sync with that of the nation. 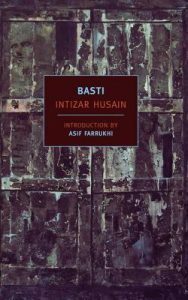 A beautifully written Pakistani novel Basti was published in the year 1995. It is written by Intizar Hussain. ‘Basti’ is an Urdu word which means any space in which groups of people try to live together. The question that the novel primarily addresses is that what constitutes a common world? What brings people together and what distinguishes them from each other? The protagonist Zakir, whose name means ‘remember’, serves as the historian of the troubled space of the novel and also a ray of hope that reconciliation, after all, is not just a dream and can be made possible. 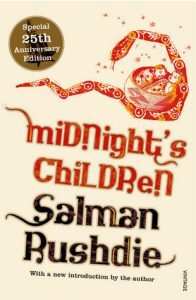 A 1981 book by Salman Rushdie, Midnight’s Children deals with India’s independence and the partition of British India. Rushdie has used the technique of magic realism in the novel. The book’s central premise, the protagonist Saleem is coincidentally born on the midnight of 15th August 1947, the night of India’s independence. Rushdie attempts to conceptualize Saleem as India itself, then. The novel is pregnant with the ideas of nationalism and the nation as a myth. 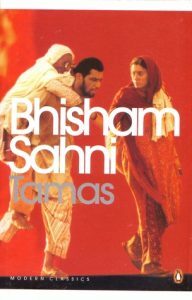 Penned by Bhisham Sahni, Tamas was published in 1972. The word tamas means darkness. This novel recounts the true events of the 1947 partition and Sahni weaves a thread to present a realistic picture of the same. Tamas also presents an accurate account of the dirty politics during the time of partition. The setting of the novel is well conveyed through the meticulous yet uncomplicated language of Sahni. It creates a sequence of events of the partition saga. 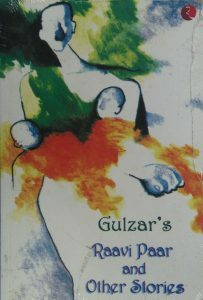 Raavi Paar is a collection of short stories by Gulzar that do not adhere to a particular theme but address different human emotions. The first story of the book, which is also its title, is a narration from the author’s own life, against the backdrop of Indian Partition. Raavi Paar is a poignant, telling story of a couple who’s on their way to India on a train that is brimming with people. The couple also has two little baby boys and loses them both due to chaos and confusion in the train. This is an account just one family during partition while so many others shared the same fate. Saadat Hasan Manto captures the essence of partition in his short stories that lay bare the reality as it is. 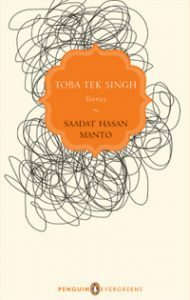 Toba Tek Singh is a short story by Manto and one of the most significant pieces of writing on the Indian Partition. The story was published in 1955. The inmates of a Lahore asylum are to be transported to India after the partition of 1947. The protagonist of the story is Bishan Singh, who refuses to leave for India once he realizes that his hometown, Toba Tek Singh, is in Pakistan. The story ends with him lying down on a no man’s land. The story is often read as a powerful satire on the relationship between India and Pakistan.